Perhaps you may truly be impressed by the specimens of perfect manhood shown on these pages and may be decided to turn over a new leaf with the ultimate idea of emulation. This idea may be uppermost in your mind when along comes some skeptical friend with a suggestion of "What good will all the muscles be to you? Those guys may have strength, but they couldn't beat so-and-so in a distance running race. They haven't the endurance." Just what makes a man enduring? Anyone who has had interest in athletics, even to the extent of reading about sports, has an idea that endurance is dependent upon regular hard training. In the minds of the majority of such people, the requisite training consists chiefly of running a certain number of miles. The idea is so deeply imbedded in the minds of the general sports following populace, that even those who have paid some serious attention to physical culture retain the belief that if greater endurance is desired they need only run a few miles daily. Furthermore, it is commonly supposed that endurance cannot be possessed unless a certain amount of distance running is practiced. Endurance is, in reality, the ability of the body to keep up repairs during continuous physical activity. It has to do with the nutritive function which is explained at great length in the chapters "Studies In Physiology." The combined actions of the circulatory and respiratory functions have a duty to perform in ridding the blood of the poisons generated by the actions incidental to life, and to furnish sufficient oxygen to repair the continuous wear and tear. During physical exercise or manual work, the accumulation of poisons in the muscles is multiplied, consequently the amount of oxygen required by the system is multiplied. When the untrained individual engages in any great amount of physical exertion, the waste poisons accumulate faster than his system can get rid of them. His blood stream becomes choked with the poisons and is unable to carry them to the lungs as fast as they are formed. At the same time, the required amount of oxygen cannot be carried to the muscle tissues. In reality, the trouble is hat the muscular tissues throughout his body have not been accustomed to carrying on repairs at the rate now demanded of them; the blood stream becomes choked with poisonous gases; the lung cells are overworked attempting to carry on an unaccustomed amount of work. Soon the individual becomes so poisoned as to require cessation of all activity. The athlete who possesses extremely high powers of endurance has combined circulatory and respiratory functions working so nearly perfect as to be able to carry on the tissue repairs nearly as fast as they are broken down. As a result of the efficiency of these functions, he is capable of carrying on his exertions for a rather indefinite length of time, depending on the degree of his exertions. However, even the most enduring man requires a rest some time, as the human body is capable of only a certain amount of continued activity and no amount of training or preparation will enable the nutritive functions to keep up a perfect state of repairs during continuous exertion. Some athletes may train by running twenty miles or more almost every day, running at an easy trot. By this method of training they are not able to reach the highest attainable state of distance running endurance. But, in a race over the marathon distance of twenty-six miles, three hundred and eighty-five yards, when competing with other athletes these highly trained men reach a state of near exhaustion. Bicycle riders, engaging in a six day race, may spend half of the time riding; the two members of each team alternating at riding and resting throughout the entire six days and nights. This constitutes a highly trained form of endurance, though hundreds of bike riding professionals have gone through dozens of such races. Some years ago, athletes took part in six day running and walking races. Endurance bike riding is really more violent than long distance running, but the latter athletes are probably far more exhausted than the former. It is also quite likely that the bike riders recover quicker from a long race, which would probably be due to more constant training of a competitive nature in the company of dozens of other riders. It is customary for pugilists to box through twelve or fifteen rounds at a fairly lively pace. Several years ago, twenty round bouts were common, and previous to that time the pugilists engaged in much longer bouts at times. Of course, the longer the bout, the slower the action, but fifteen or twenty rounds must be about the limit of high speed endurance among first class athletes. It is generally recognized that the average, healthy young fellow who is untrained would be incapable of keeping up boxing activity for more than two or three rounds, a matter of from six to nine minutes exertion. Compared to this, the length of a professional bout seems great, but the elapsed time does not amount to so much in actual minutes. A ten round bout lasts about thirty-nine minutes, with nine minutes out for rests. A fifteen round bout includes forty-five minutes of actual activity, and fourteen minutes for rests, a total of one hour lacking one minute. One hour of activity is included in a twenty round bout, with nineteen added minutes for rests. So you see in actual time, the boxer does not keep going as long as the distance runner. A fifteen mile race would last slightly longer than a twenty round bout. A marathon race lasts nearly twice as long as a twenty round bout. Bicycle racers very commonly ride an hour or longer without a rest, at times covering well over seventy miles in he hour when riding behind a pacing motor. It is true, there are other factors besides endurance involved in a boxing or pugilistic contest, but factors besides endurance involved in a boxing or pugilistic contest, but at he same time the boxers rest a minute out of every four minutes, while the runner and the bike rider keep going without a let up. If a man runs fast, he is completely tired by the time he has covered an eighth of a mile; by not running at his limit of speed he can last a quarter of a mile. Thus, in he violent exertion entailed by running extremely fast, a man is limited to twenty some seconds or approximately one-third of a minute; we refer to the 220 yard dash or the 200 meter dash, which seems to be about the high speed running limit. A quarter of a mile run is made slightly over three quarters of a minute by first class athletes; about one minute would be the running limit of that rate of speed. Professional wrestlers are quite accustomed to bouts of from one to two hours duration, but it is necessary to rest quite a little during a bout of that duration, or the contestants could not continue. It is rather difficult to determine just what the limit of human endurance is, when the extreme of fast action is continued, but it is somewhere around twenty to thirty minutes. We must recognize different types of endurance. The marathon runner, bike racer, soccer player, oarsman, hockey player, boxer, wrestler, and swimmer all require the quality of endurance in a different sense. The man who is trained to excel at either cannot compete on even terms with the specialist in any of the other. Remember one mention of the common belief hat running is the main requisite in the development of endurance. However, the marathon runner would be sadly lost in attempting to follow a first class tennis player or a team of soccer players through a game; the running endurance of the marathoner would be of little use in rowing or swimming with good men trained for those sports. The boxer, wrestler, swimmer, oarsman, and tennis player, each must use his arms continuously as well as the legs. No one would expect Tunney, Dempsey, or any other first class pugilist to be able to jump around on the tennis court with Tilden, La Coste, or other racket wielding stars. Neither would we expect them to swim with Young, Ross, Vierkoter, or other good endurance swimmers. And the tennis player or swimmer isn't expected to get in the ring or on the mat with one of the good cauliflower eared gentlemen. The champions in all of the above mentioned sports possess endurance almost in the utmost degree, but only in the sense that they have trained for their specialty. Unaccustomed movements will find them completely lost. Other qualities besides endurance have to be considered in athletic excellence. Some sports require speed and agility, the fast movements to be kept up continuously, as in tennis, soccer, and hockey. Rowing calls for continuous application of strength and a fair amount of quickness. In boxing and wrestling, the movements are alternately fast and slow, the element of speed being spasmodic. In swimming and bike riding, the element of speed in distance races is applied in a steady drive. 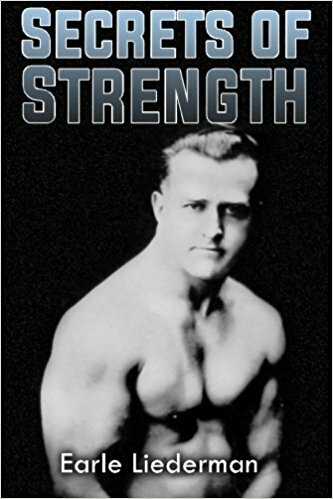 It is also possible for the strong man to display the quality of endurance in connection with feats of strength, as when competing in a lifting contest or giving a public exhibition, where he must step from one high class feat of strength to another. You wouldn't let anyone tell you that the champion pugilist or wrestlers aren't enduring, simply because they are untrained to enter a marathon race with a chance of winning. You undoubtedly have more respect for the boxer and wrestler than you have for the long distance running champion. The sporting fans also think more of the first class ball players than of marathon runners. Yet, it is unlikely that many ball players would be capable of putting up even a fair exhibition on the endurance running track. The average long distance runner would be a poor physical specimen for the ring, mat, or diamond among classy performers. So, you see, the world doesn't regard endurance with the same degree of importance as some people are inclined to attach to it. That is, endurance in the running sense. Endurance in another way is a different matter. We all admire the man who has plenty of sand and won't give up easily. That is just what real endurance should mean in an athletic sense, whether you are referring to running, tennis playing, swimming, fighting, pitching a grueling extra inning game, or anything else in an athletic sense. 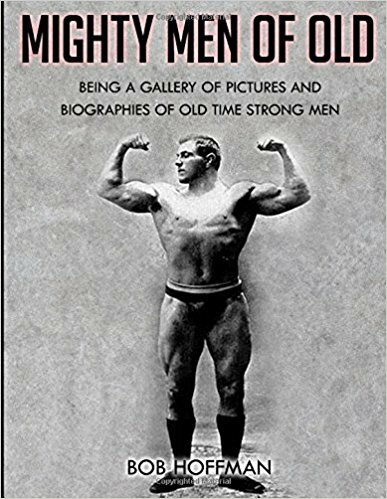 The strong man has just as high a degree of endurance as any other class of athletes, but of course in a different sense than marathon running or swimming endurance. In order to excel in his specialty, an athlete must devote his time to that one thing, and not to foolish attempt to outplay another man at his pet game. Even he bar bell exercising enthusiast displays a high degree of endurance in taking a thorough advanced workout. The average athlete couldn't follow a fairly good bar bell man through a workout of an hour. To begin with he wouldn't have enough strength, and even if lighter weights were used he would be all tired out long before the hour was up. We have seen this very thing happen time and again. The purely physical improvement side of bar bell training throws an entirely different light on the subject. If a young man has ambitions to make good in one of the popular lines of sport, but lacks the physique and strength to stand the gaff, he is wise to first develop himself and then to think of specializing on the game of his choice. Spending a few months or even a year or two at bar bell body building exercises isn't devoting your life to weight lifting. It is just the same as taking time off from work for a year or so to improve your education. After acquiring a more rugged physique the young man can train along recognized lines for the gaining of proficiency in the game he wishes to follow. A more rugged physique and greater strength to carry you through competition is worth more than just "wind" as it is generally known. It is far better for the aspiring athlete to properly develop himself to improve his staying powers than to go out on the road and run miles in the hopes of "getting better wind." Distance running ability doesn't mean a thing in the majority of sports and games, nor for that matter, in the ordinary cares of life or the maintenance of health. Don't misunderstand us; we have seen the majority of great distance men, and we have long been an enthusiastic marathon fan. But, we realize the exaggerated importance attached to distance running ability. The physique developed by such runners is hardly the type to inspire or instill a desire for physical improvement in the minds of our young men. Experts don't advise road work to improve swimming ability, nor have we ever heard of tennis players running miles to become better able to get around on the court. Boxers do a certain amount of road work to improve the staying powers of their legs, but you could easily count up hundreds of promising young boxers who have burnt themselves out and left their fighting ability "back on the road somewhere' as the expression is sometimes made. The continuous leg action in boxing is somewhat identical to jogging along on the road, but actual running ability is not required. Anyway, the greater amount of road work is done to reduce the boxer after a spell of taking life easy and growing a little soft. Ball players do a fair amount of jogging to reduce and condition themselves in the spring training camps, but during the active playing season, nothing like hat is needed to keep in condition. The boxer who trains consistently and fights regularly always keeping in condition, needs very little road work. If you choose to train with bar bells and practice weight lifting, and you aren't satisfied with your distance running ability, you can go out in the park or jog through the streets if you wish. However, outside of the improvement in running, it is doubtful if you will notice any gain in endurance so far as other physical activities are concerned. 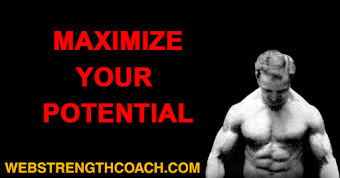 I am positive it won't make you more enduring or capable in performing tiring feats of strength. Personally, I have done a great deal of running and walking, especially during my 'teens and while never any wonder at any distance running. I have always been pretty fair at walking. One thing I have noticed about walking fairly fast through city streets is that a rest of a day or two from walking would give me extra reserve and make it possible to walk with greater ease. My legs were always more capable at both lifting and swimming when doing very little walking. 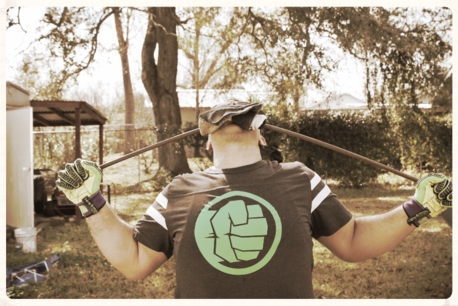 As to running in connection with swimming and lifting practice, I have often experimented and personally my efficiency would be greatly lessened. Such athletes as tennis players and swimmers will sometimes note a lack of pep if running is attempted as a means of conditioning. 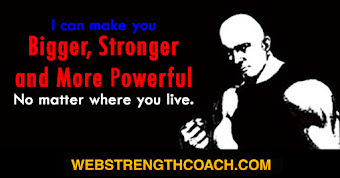 Unscrupulous advertising instructors, with something to sell you will sometimes speak of a man being strong externally and weak internally. Such a thing is an utter impossibility, and cannot be substantiated by any know fact in the science of physiology. What they are referring to is the possession of great physical strength minus exceptional endurance, and in an attempt to prey on the general ignorance of the public on matters pertaining to the human body, they speak of an imaginary heavily muscled man who is incapable of winning a marathon race or some other specialized endurance test. The public does not think, whatever the issue may be; our dear public relies on the daily newspaper, the movie, or hearsay for opinions on all matters of importance. Likewise, on physical training matters, the average person knows little or nothing, but they imagine an athletic man should be capable of any feat in the realm of sports. The average person fails to realize the difference in specializing for particular branch of sport, and that only specialists excel as we have recently pointed out. The class of instructor to whom we have just referred, should know better if he has any right to be selling physical culture courses. If he know better then he is resorting to something akin to fraud in order to sell you a course or some apparatus. 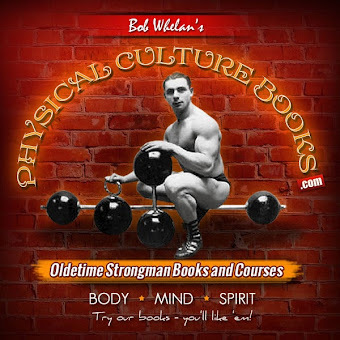 As we have briefly hinted at in this chapter and have explained at considerable length in another chapter, the development and maintenance of large and strong muscles depends on better efficiency of the internal functions. We are not, of course, referring to fat; but to increased size of muscles means corresponding increase in the powers of circulation, respiration, and assimilation. As we have further explained, the specialist in one line of athletics excels the specialist in another branch of sport, and what may appear to be high class endurance in the ring, many be of no value on the running track, the tennis court, or in the swimming pool. 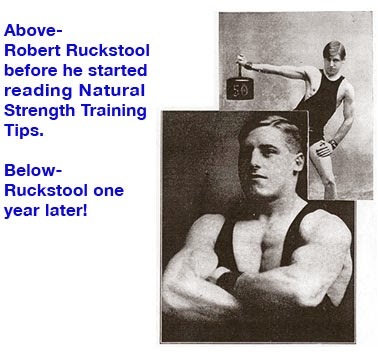 When increased muscular size is required to make a man more rugged and physically more capable, one means of developing such size is just as satisfactory as another, but some methods are more certain to bring about the increased size and may be depended upon to do the trick in a shorter space of time. Muscle is muscle, when it is of the proper size. And hen, when you expect to excel at some particular specialty after improving your strength and development, you must train at your specialty; there is no other sensible way of reaching success. The time you devote to properly developing yourself is lost to your favorite game, but it is worth considerable more in the end. For instance, a young man who is ambitious to make good as a boxer, but who is lacking the proper degree of strength and ruggedness to reach success, will do better to forget boxing for some time and follow a course of developing exercises. Very rarely does the practice of boxing, and the incidental training of a boxer, improve the development of a man. If he starts slim and lacking in ruggedness, the chances are he will remain so, unless he trains as we have suggested. The truly great men of the prize ring have been fully developed before entering the game. They came into the game with the strength and ruggedness and did not start as striplings and develop to muscular champions. The majority of the great fighters have followed some form of hard work, involving strenuous physical exertion, before taking up boxing. The young lad who is only of average strength is making a serious mistake if he enters the game without first developing. Some one has said something to the effect that for every good man brought out in boxing, the game has made hundreds of "hams and bums." They are the ones who were physically unfitted for the game, or were improperly handled. The young man who aspires to fame as a boxer should not let anyone give him bad advice about training by light methods to build himself up. 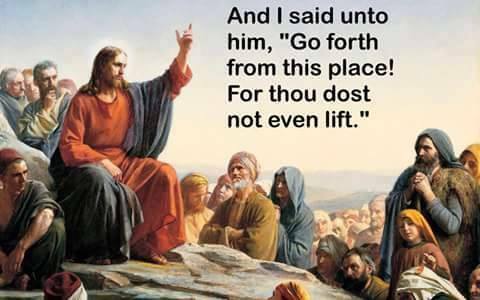 He will only fail by following such foolishness. Having acquired the proper development, it is time to start specialized training for actual ring work. At that time, our aspiring boxer can quit his developing exercises and go through the customary routine of the boxer. Before closing the present discussion I wish to correct a mistaken impression which may be lurking in the minds of some readers. Once in a while we hear of some boxer growing out of one class into another, or possibly to a second class heavier than he formerly belonged. Some persons are likely to form a hurried conclusion that the form of exercise caused them to develop to such an extent. It may be observed that the majority of boxers are of an immature age; practically all boxers enter the game long before full maturity; therefore they should naturally continue to grow and increase in size if no steps were taken to keep from gaining in bodyweight. Hungry managers usually insist on the boys in their charge keeping the lightest possible class. It is only when nature insists on putting too much weight for him to keep in the lighter class that the average boxer is permitted by his manager to enter a heavier class. Truly, the constant exercise has quite a lot to do with making him grow. The muscles become larger and more solid from the regular training, which also helps to make him jump a class or so. Naturally, the average man will continue to grow until well past twenty-five and often until past thirty, without becoming fat; just healthy growth. You can appreciate the battle that is constantly going on between nature and the reducing methods to keep in a certain bodyweight class. Many boxers are through when they reach a heavier class as the competition proves too much for them. Furthermore, the constant reducing work has a bad effect on their strength and endurance. There is no reason why any athlete should be physically "through" or "all shot" between twenty-one and thirty, yet such is the case with thousands of promising boxers. It has in the past been fairly common for boxers, jockeys, and some other athletes to suffer with consumption due to the efforts to keep down the bodyweight. That is the folly of too much so called endurance exercise. It would be far better for the athletes to practice forms of exercise designed to build them into heavier classes and to husband their strength rather than to practice so much "endurance" work as to rule their health in later life. After learning our frank opinion of pugilism in the scheme of physical endurance you may question our repeated reference to training methods for improving the physique for boxing. 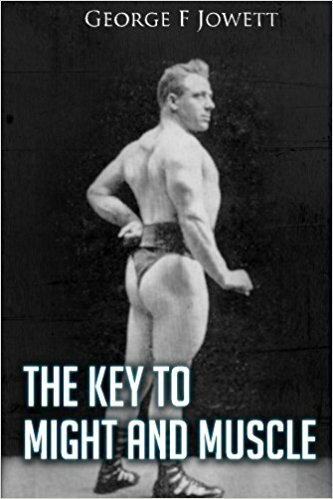 The reason should be obvious to those who have closely followed physical culture to any extent. So many men, especially young men and boys, entertain ambitions of becoming fighters, or at least regard professional boxers in a spirit akin to hero worship, that it is expected of us to give advice on improving he physical condition of those young men who are ambitious to make a success of boxing. Please note that we distinguish between prize fighting and actual boxing as a means of exercise. The pugilist practices boxing for business reasons and not as a physical culture.